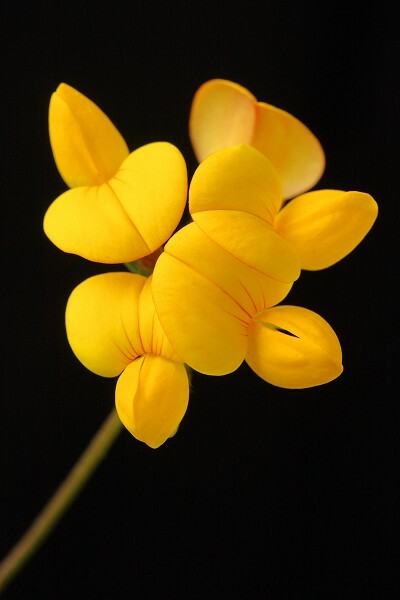 Sometimes called Lady's Fingers, Birdsfoot Trefoil is a common perennial which thrives in short grassland and on roadsides. It is often found with clovers in pastures and is very drought-resistant. The flower heads (up to 15 mm long) are made up of 4 to 6 yellow flowers on long stalks and sometimes streaked with red.